It was Restaurant Week and ate a lot this weekend! It started on Thursday night at Three Aces Chicago with a Bourbon Dinner I planned for a small group. 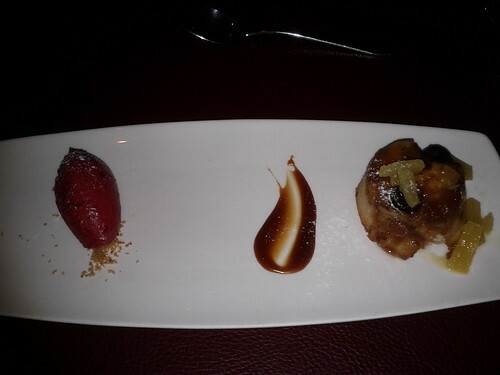 We had a three-course meal with two bourbon pairings for $40 per person + tip. 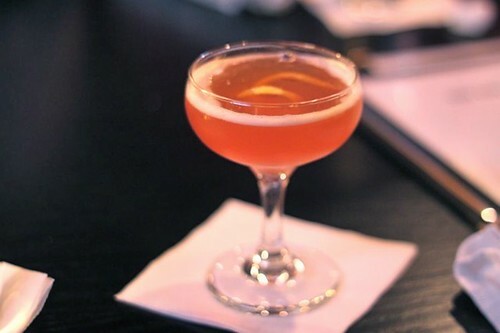 The first cocktail was called Pink Thunderbird - a sweeter bourbon cocktail (not sure what was in it, maybe grapefruit juice?). They paired the Pink Thunderbird with an Oyster on the half shell. Next up was our white bean and rosemary soup with ligurain olive oil. The soup was delicious and probably easy to make and (I'm guessing) low in in calories. 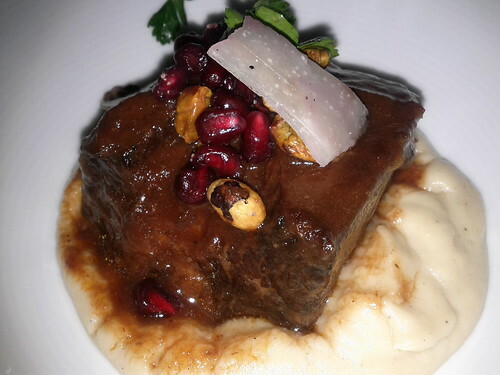 Following that dish was the braised short rib with pomegranate, parsnip puree and pistachios. It was a nice sized portion, in fact, I gave most of my dish to my brother. And we finished our bourbon dinner with a cheese and Lion's Pride Rye. 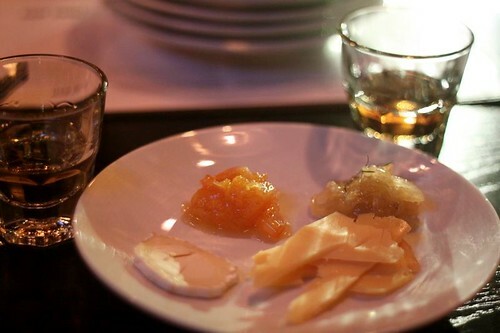 I liked the orange marmalade that accompanied the cheese. On Friday I met a few friends for lunch at David Burke's Primehouse for Restaurant Week. I do my best to hit Primehouse every year for Restaurant Week because they serve their FULL MENU at Restaurant Week prices. 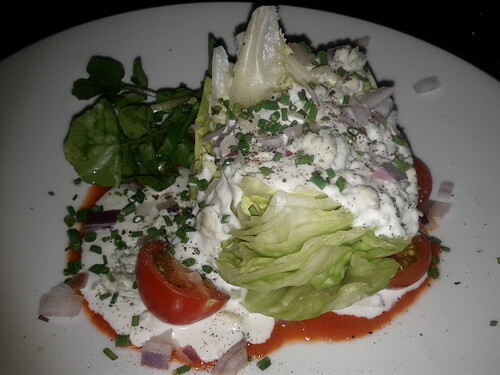 For $22 I had: An Iceberg Wedge Salad, a 6 oz Filet, mashed potatoes and sauteed mushrooms (my sides) and Upside Down Pineapple Cake with Raspberry sorbet for dessert. Yum...cooked just the way I like it! Saturday night I went to Smith & Wollensky and had another Filet. 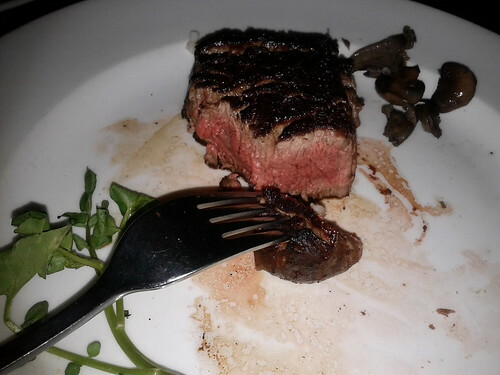 This time, I had the bone-in filet, it was also very delicious and flavorful. God, I love steak.